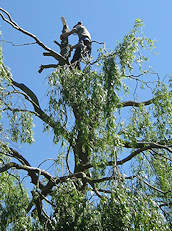 From single trees to woodlands we offer a complete service for your trees. If they are too big, blocking light, interfering with gutters and aerials or in poor health we can help. A well managed hedge provides a natural boundary and privacy but untrimmed, they can quickly get out of control. 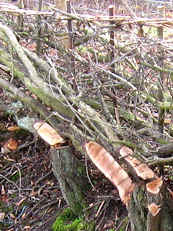 We cut 'monster' conifers down to size and we rejuvinate old hedges using traditional hedgelaying methods. A lot of tree surgery is required because the wrong tree has been planted in the wrong place. 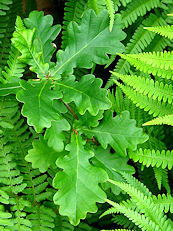 We can help you select a tree or hedge that is appropriate in size and form for its setting. 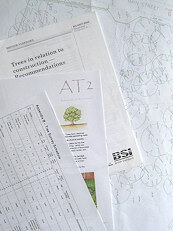 If you are submitting a planning application on a site where there are trees you will probably need to include a tree survey with your application. We can carry out a tree survey and produce a report that meets the specification and requirements of the Local Planning Authority.